Once you are logged in, minutes and graphics are under the "About Us" menu. and to support novice filmmakers of the future. and to become a premiere resource for information and artifacts related to vintage film. The Marie Dressler Foundation was established in 1989 to restore and preserve the house where Marie Dressler is believed to have been born. The Foundation, led by Bob Amsbury and Bill Patchett, raised about $400,000 to buy and repair the building, which now houses the Marie Dressler Museum. Having restored the building, the Foundation convened a committee to organize a festival of Marie Dressler films to show the community why Dressler occupies a unique place in film history. The festival has continued in the following years and now shows films featuring Dressler's contemporaries. More on Marie Dressler. The Vintage Film Festival continues to be organized by a sub-committee of the Marie Dressler Foundation as a fund-raising event. Apart from keeping the memory of Marie Dressler alive, the Foundation provides scholarships to Students in Northumberland who are planning further education in the arts. Go to the separate site for Marie Dressler and the Foundation for more details. Festival costs are not covered by ticket revenue - continued funding depends on the generous support of our Sponsors. Capitol Theatre - VFF Festival 2006The Festival is held every year on a weekend in September or October and we show a variety of films generally made before about 1967. Usually, one film features Ms. Dressler, but others range from very old, silent films starring Mary Pickford, Erich von Stroheim or Douglas Fairbanks, to talkies and musicals. For a list of all films shown to date, click here. 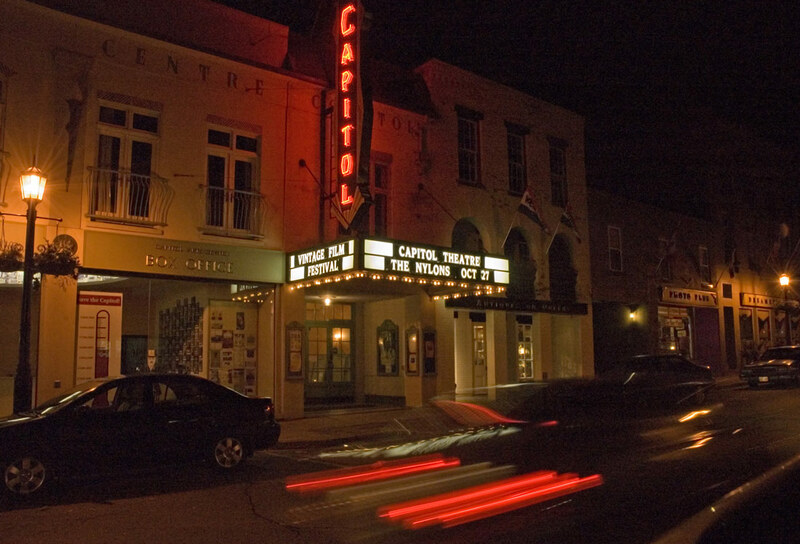 For the last few years and into the future, the entire Festival will be at Port Hope's Historic Capitol Theatre starting on Friday with a bonus film followed by a Reception. (Venue location map here). For more on previous festivals, see our news page. See the program page for information on the movies to be shown this year. Tickets for the coming season go on sale each year in early summer. If you'd like to join our mailing list, we'll keep you informed of news and updates about our program. This mailing list is used strictly for updating you on the Vintage Film Festival and will not be made available to anyone else. Either send us an e-mail (above) or sign yourself up on the positive confirmation mailing list system available here. Login at right with the user name committee - use the password you were given. Once you are logged in, click here for minutes.